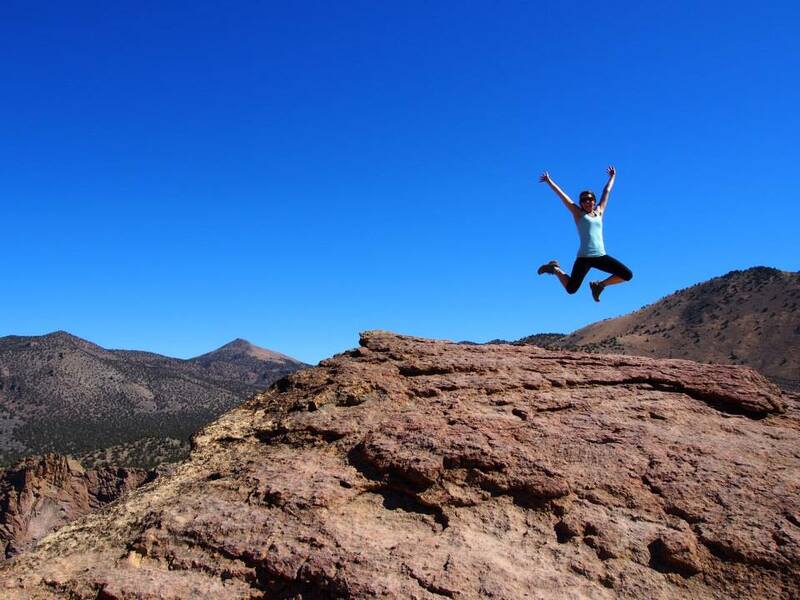 Recently, a favorite travel blog of mine wrote a post on how to travel in 2016 - not how to buy a plane ticket or find a good deal on a hotel, but the mindset with which to get the most out of your travel experiences. One of the points that resonated most with me was that of participation. I am, by nature, an observer. I'm a bit of an introvert, a good deal risk-averse, and far too much of a perfectionist to willingly do something I think I might be bad at. All of that makes it much easier to sit on the sidelines and watch life go by me - and sometimes there's nothing wrong with that! I sit in sidewalk cafes and watch people pass, noting how they're dressed and who they're hanging out with, trying to discern who's local and who's tourist. I see people doing dances that I've never seen before and I try to figure out the rhythm and the steps and it makes me smile even though my feet are still. I listen to the language and pick up bits and pieces, hoping that I'll overcome my self-consciousness for long enough to use them with native speakers. Observation is how I gather lots of information about where I am, and sometimes it's the most respectful way to experience a new culture. But the really memorable moments in my travels? They come from jumping in and participating. Participation usually requires me to be vulnerable and to do something I'm not good at - but I cannot remember a time when I've regretted it. Being a foreigner usually gives me some leeway - no one expects me to know how to dance the punta, or to speak Georgian, or to have ever cooked gozleme before - so it's okay if I mess up! In fact, I find that most often people just love the fact that I am trying, that I'm making an effort. Yes, they often laugh at me, but they laugh with kindness and respect for my willingness to step out of my comfort zone and risk looking silly (something I'm often not so willing to do at home). Literally jumping in on the jump rope action in La Paz, Honduras. Taking a turn at the potting wheel in Cappadocia. The feel and smell of the clay on my hands, the huge mess that I made, and the laugh of the potter as he tried to help me fix my ugly bowl - those are things I'll remember for a long time. 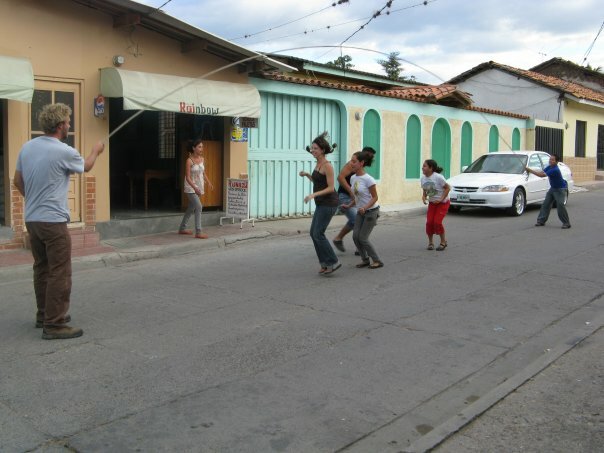 Dancing in a punta circle in Trujillo at my Peace Corps despedida (going away party). I'd been practicing in my living room for 2 years and finally worked up the nerve less than a month before I left! Learning to grind cornmeal and make tortillas in a tiny mountain village. The smell of the wood stove, the indulgent smile of the tiny old lady teaching us, the laughter of my Honduran counterpart as she admitted that her tortillas were even uglier than mine. Meanwhile, our teacher had made 20 to our 2. Tasting wine and chacha in the back alleys of the Tbilisi bazaar. Attempting to communicate in Georgian with the little old proprietress, she kept offering us more. We really had no idea what we were drinking or whether we were supposed to pay for it, but she just kept smiling and chattering away and so we stayed. Jumping into the lake for a polar plunge on New Year's Day 2016. I'm oddly proud of this one because it was in the US and because I hate the cold. They say that you only regret the things you have not done - so one of my resolutions/intentions not just for 2016 but for life in general, is to be a full participant. I'll still stop and observe when it's appropriate, but when offered the chance to participate - I'm jumping in. How do YOU jump in?